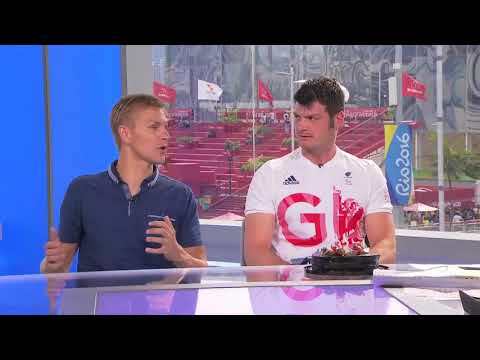 STEVE BROWN IS A BROADCASTER, PARALYMPIAN, PUBLIC SPEAKER, MENTOR AND COACH. In 2005 Steve became paralysed when he fell from a balcony and broke his neck. 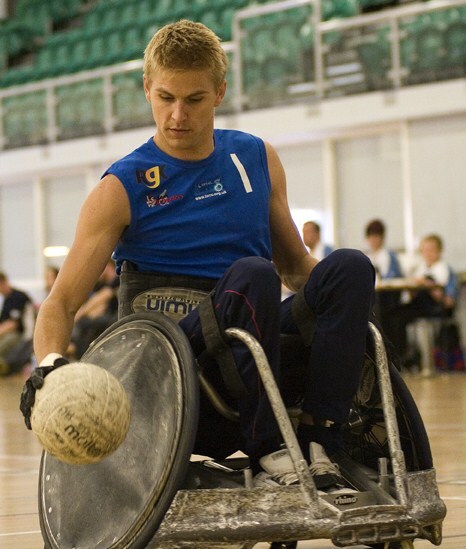 Soon after, he was introduced to wheelchair rugby and in 2012 he captained Great Britain at the London Paralympic Games. 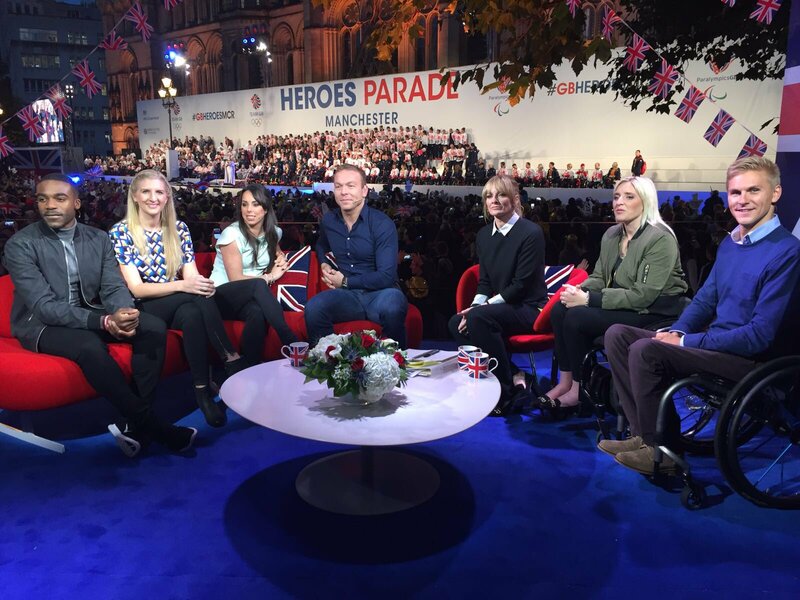 During the build up to the games, Steve was involved in a series of Channel 4 documentaries and the Paralympic campaign, SuperHumans. 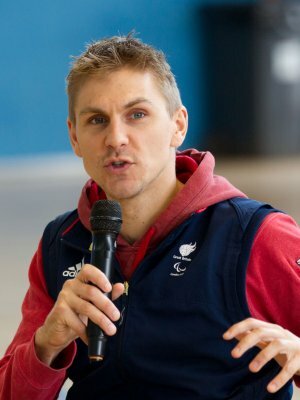 Recently Steve has consolidated his sporting credentials taking on hosting duties at Rio Paralympic Games 2016 (Channel 4), World Wheelchair Rugby Challenge (ITV4), Wimbledon, The London Marathon and the Invictus Games for BBC. Steve has worked on BBC Breakfast, Springwatch (BBC1), Game Changers (Sky Sport 1) and has become a regular correspondent for Countryfile and The One Show (BBC1). He recently embarked on 900 mile journey, alongside five other people with different physical disabilities, for the BBC1 series Without Limits: Vietnam. Since retiring from elite sport, Steve has turned his focus to supporting others to be their best through sport, work and education. 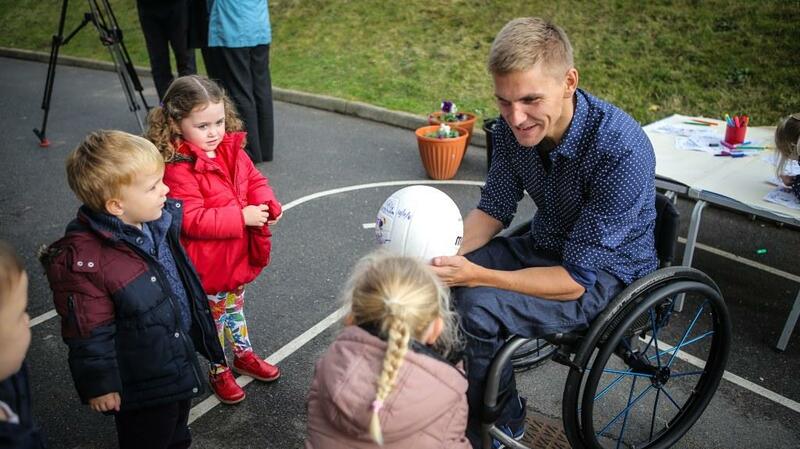 He works as a mentor and coach alongside wheelchair rugby and leading projects such as Sky Sports Living For Sport and Youth Games. Steve Brown is available for motivational and after dinner speeches. He talks openly about his own journey of injury, recovery, life’s pressures and aiming for excellence. His aim is to challenge and motivate audiences in a positive and inspiring way. Previous clients include Zurich, Alliance, Sky, Slater & Gordon, Sky, German Wings, WNS Global Services, PJ Care, NHS, BT, and Specsavers. What an amazing morning we’ve had. I’m back in school now after a very inspirational – and emotional – presentation from Steve. He was so lovely. What an emotional roller-coaster of a life he’s had so far! Who knows what other amazing things he will achieve and learn about himself in years to come? I sincerely hope that you will pass on my best wishes and thanks to him on behalf of Kirklees Primary Heads. Steve was phenomenal. The feedback has been overwhelmingly positive. He’s such an inspirational speaker and stayed right on our conference theme. You could have heard a pin drop during his talk. Steve was absolutely awesome. We have had so many immensely positive messages of how his humility, his determination, resilience and achievements through some of the toughest blows anyone could be dealt has been a real eye opener and inspiration to so many of us. A very genuine thank you from us all. Thank you also to Steve for taking the time to speak to people after his speech. It added a lovely personal touch. I just wanted to let you know that Steve was fantastic on Monday and we have had excellent feedback from our members about his talk. Some quotes: “The key note speaker was very inspirational” and “Steve was a brilliant speaker!” A large number listed his name as what they liked best about the conference. Absolutely fantastic speaker! I don’t think I have ever heard someone speak so openly and honestly about their life experiences and how it has shaped their future. A truly inspiring guy. I just wanted to say a massive thank you to Steve. Everyone I speak to is all saying how inspirational he was. We have even had comments that he has been the best guest speaker they’ve seen here at our Awards. The students, parents and staff were literally queuing up to meet him. It was an honour, as always, to welcome him to Plumpton and we look forward to seeing him again soon. Thank you so much. Steve was fabulous as always. We very much enjoy working with him and he is a much loved friend of the Symposium. Our delegates were engaged and delighted by his story. A captured audience I would say. The most inspiring and motivational speech I have ever heard – I was crying at the end. Standing ovation was well deserved. I wish I could rate this higher than a 10/10! Steve was brilliant today, exactly what we were looking for! He was excellent, so engaging – would love to have him back again! He is the best speaker that we have ever had in here and really mapped his story around the messaging that we wanted to get across. People are still raving about him today, they thought he was excellent! He was warmly received and left a most lasting impression on all. It was great to have Steve with us. He is an inspiring young man with an amazing personal story to tell. What I take away from his story is that many things become possible if you believe and have others to believe in you. Steve has been talking to our staff at several occasions and was always ranked highlight of the event. We look forward to continuing to work with him. Steve is a highly valued colleague at the Youth Sport Trust. He has worked on a number of programmes inspiring and motivating young people to fulfill their potential in sport and in life. He is a wonderful communicator with a great story to tell – a true inspiration. Steve has been a wonderful advocate for not only Sky Sports Living for Sport but Sport in general. He shares his incredible story in a humble but utterly compelling way. Over the 5 years I’ve known Steve I’ve seen young and old captivated and inspired. He is a true champion in every way and has made huge impact on the success of our initiative.